Clients mentioned that their entrance hallway and cloak room were cold and asked if I could suggest energy improvements. This is a small lean-to extension to the main house with filled cavity walls. 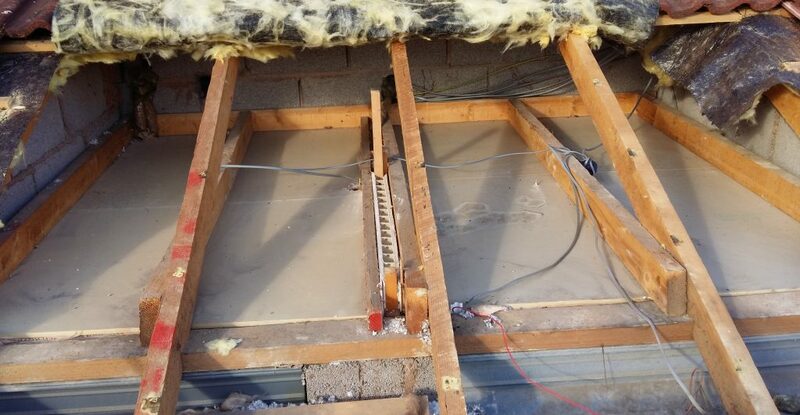 The customers weren’t sure about the insulation leveI in the roof, which on inspection I discovered consisted of a badly distributed layer of mineral wool. So I suggested to use 100mm insulation boards fitted between the joist and sealed in with spray foam. The view after removing the badly laid mineral wool insulation. 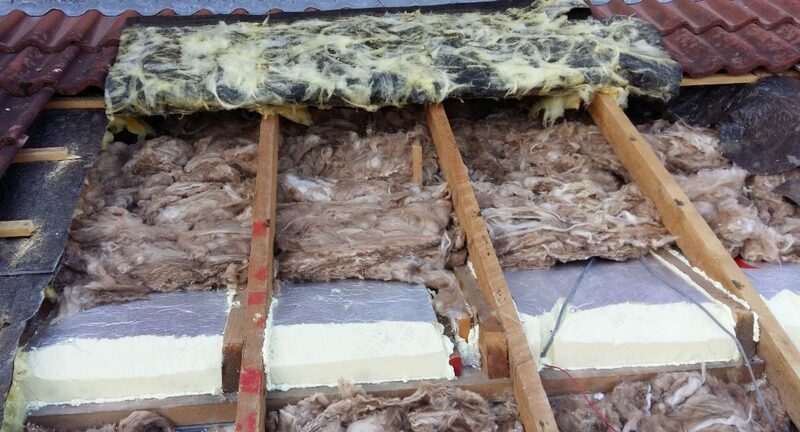 100mm insulation boards sealed between joists with foam and previous mineral wool laid cross-ways above joists. The feedback from the customers was: we are very happy with the advice you gave and the work was carried out in a neat and efficient manner and is effective in reducing the heat loss in our hallway.